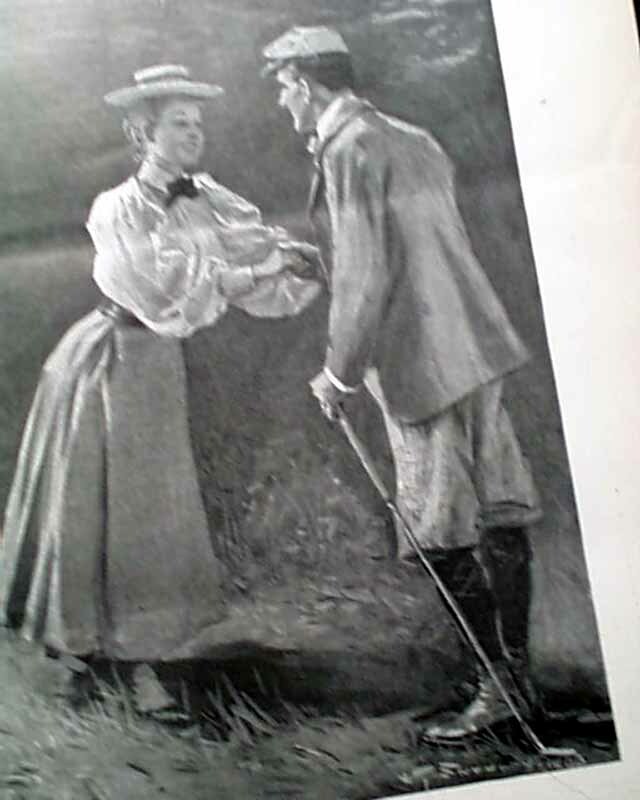 The full front page is an illus: "I Felt Her Seize My Hand and Shake It." 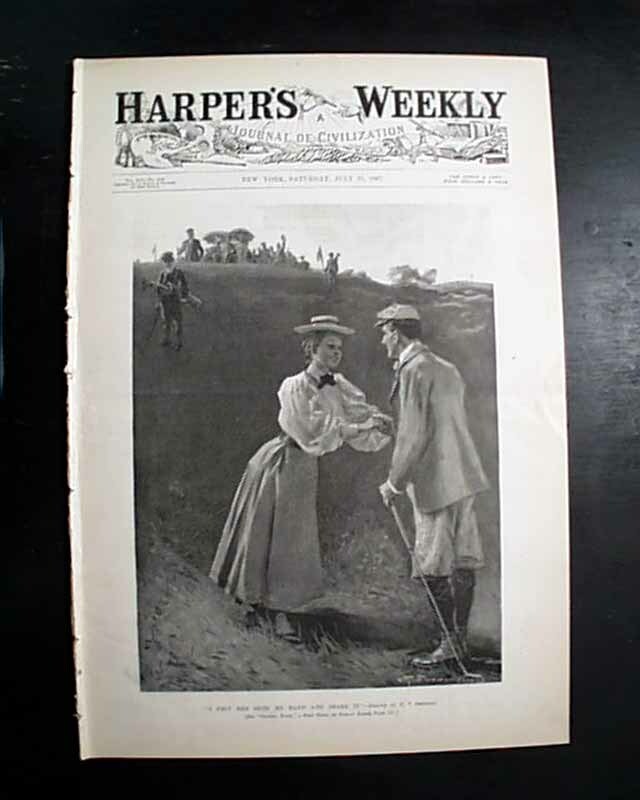 which shows a woman greeting a man with a golf club, with caddies & others in the background. 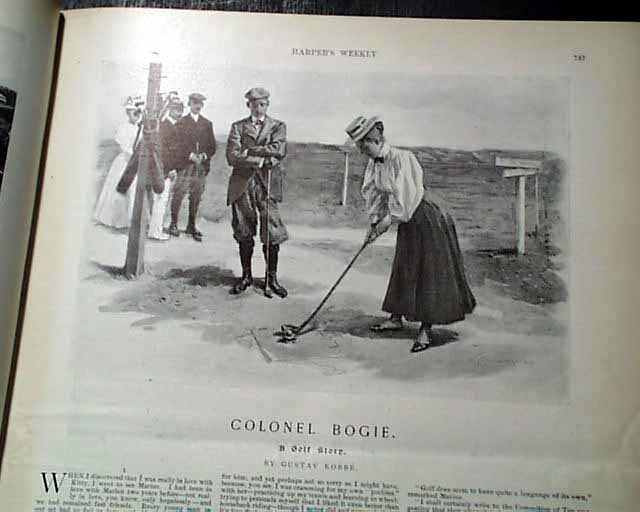 This print accompanies a story inside titled: "Colonel Bogie, A Golf Story" where also is found a print of a woman about to hit a golf ball off a tee, with men golfers in the backround (see). Elsewhere in the issue: full pg. of illus. of "The Sixteenth International Convention of the Societies of Christian Endeavor, at San Francisco, July 7-12." 1/4 pg. illus. 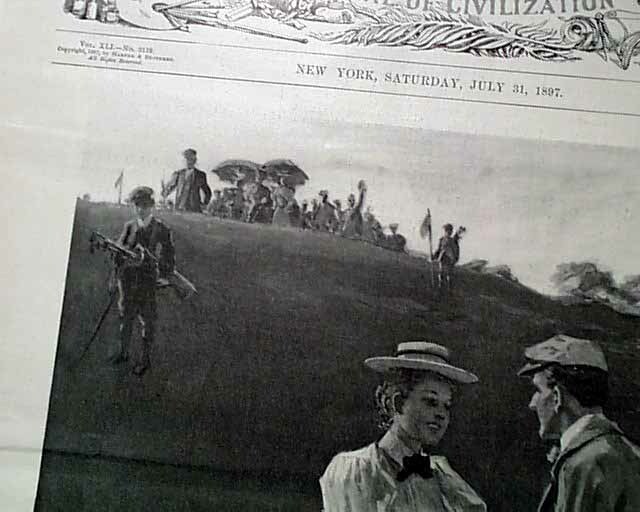 of "Mr. Frederick Macmonnies's Group for Prospect Park, Brooklyn." 1/2 pg. illus. of "The New Esplanade and Driveways along the Schuykill River at Fairmount Park, Philadelphia." Full pg. of illus. 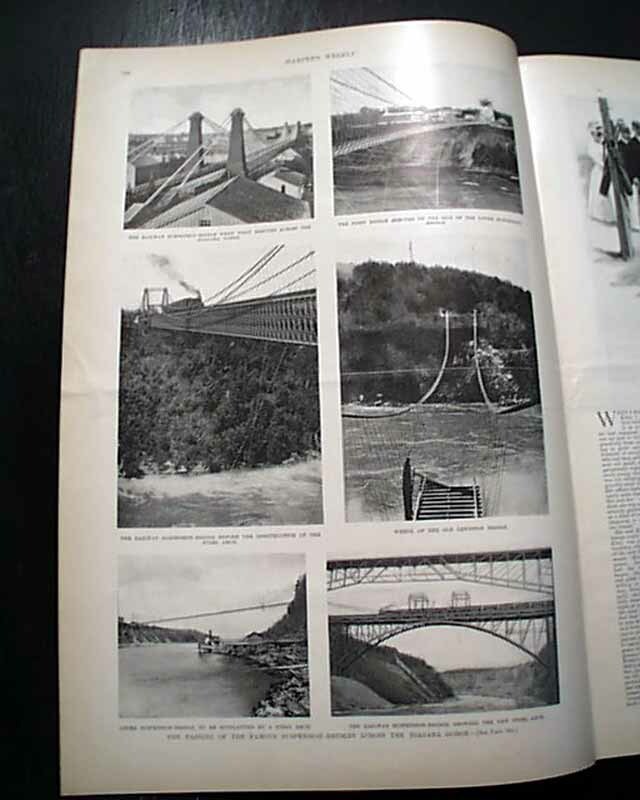 of "The Passing of the Famous Suspension Bridges Across the Niagara Gorge. "; doublepage centerfold of: "The International Exposition at Stockholm, Sweden - People and Scenes Around the Fair Grounds." Full pg. of illus. 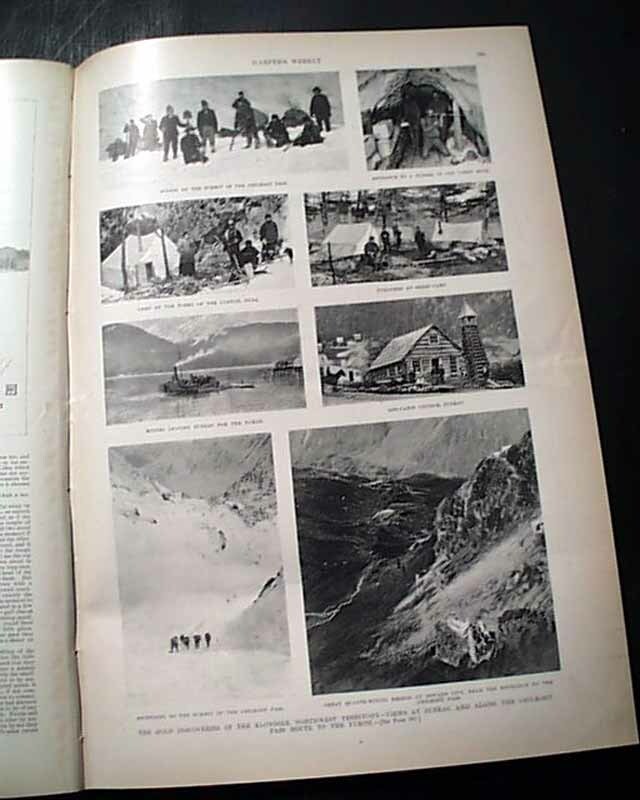 of "The Gold Discoveries in the Klondike, Northwest Territory - Views at Juneau and Along the Chilkoot Pass Route to the Yukon." Complete in 24 pages, very nice condition.